SHIP TIME: 95% of our papasan footstool cushions are shipped within 10-15 business days of order plus transit time. RETURN AND CANCELLATION POLICY: Please note that our footstool cushions are custom sewn for you when you order. 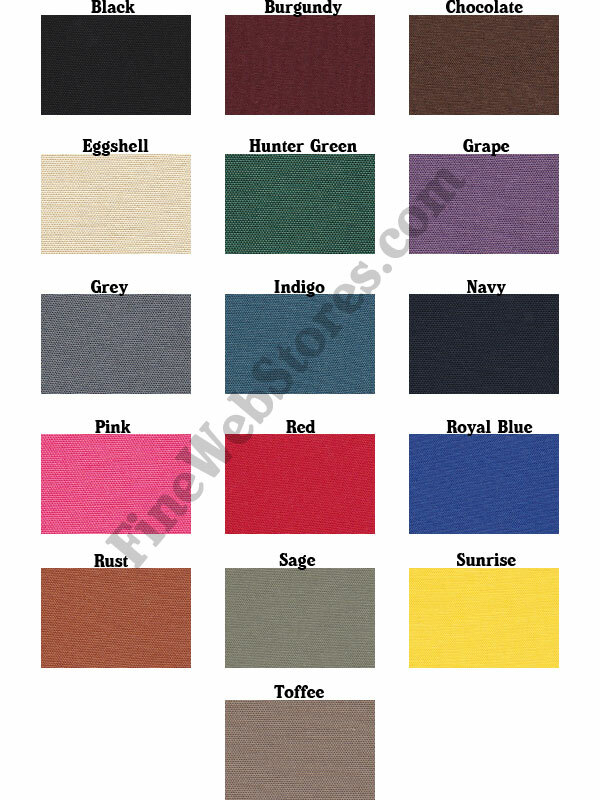 We do this so we can offer many colors and custom sizes. Because of this, please order carefully. Cancellation of an order is generally impossible as we start sewing ASAP. We can only accept returns within 30 days of order, a 50% re-stock fee will apply, and the papasan cushion must be in original packaging. Please note that you are responsible for all shipping costs. 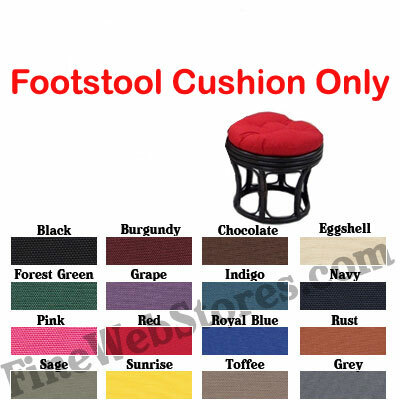 The Footstool Solid Color Replacement Cushion is made from 50/50 cotton/poly duck fabric.